Just purchased this battery so I can't comment on it's performance yet, but it arrived well packed and I have bought a similar type of battery before and it's been excellent. Excellent value, perfect alternative to the original and well packaged for delivery. Well done. Outstanding service. 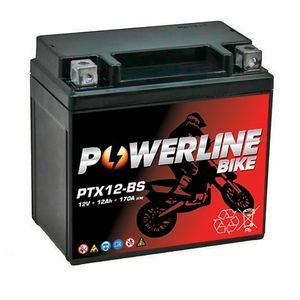 I’d normally not bother reviewing a bike battery but, aside from the fact the battery is perfect ... the services and communications throughout the process is a bit different. Message after message regarding the order. I placed the order at 4:30pm and it arrived at 9:35am the next day. If everyone offered this level of service the world would be a slick place. Fantastic quick delivery well packaged and very competitive price. Well packed for protection during postage. Fully charged straight out of the box. Absolutely corect size also included new conectors. A great deal on this battery. Neatly packaged and delivered promptly. Great item would use again. A great product, fitted it and started first time.